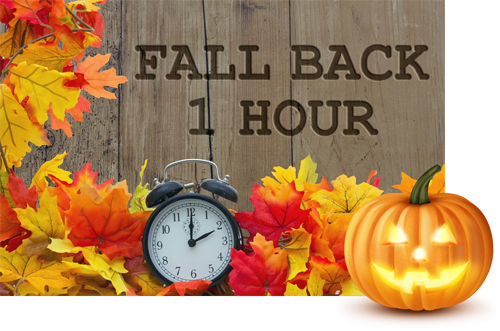 Don’t forget to turn back your clocks this weekend and enjoy that extra hour of sleep Saturday night! “Daylight Savings Time” is a way of making better use of the daylight in the evenings by setting the clocks forward one hour during the longer days of summer, and back again in the fall. 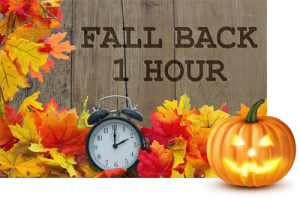 Daylight savings time will end with a “fall back” to standard time on Sunday November 1, at 2:00 a.m. If you’re a kid or a kid at heart who gets an adrenaline rush out of being scared to death, check out Fright Nights Halloween Events Guide. You will experience haunted houses, Halloween themed carnival games, creepy and disturbing entertainment, and FEAR.